Dr. Manuel Griego, Jr., knows all people and the kind of patient-focused, time-sensitive healthcare they need to keep pace with family and workplace responsibilities. For more than 38 years, this Texas native, Board-certified in Family Medicine has taken care of generations of Dallas people working and living downtown and in the nearby Oak Cliff community. 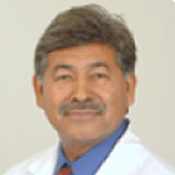 His areas of clinical focus include cardiovascular disease, diabetes management, and holistic medicine that unites traditional Western medical practices with complementary therapies.